In retail, security goes beyond loss prevention—it also means protecting your customers’ information against fraud and data breaches. As new payment methods emerge and payment industry regulations continue to evolve, securing customer data can be a challenge. TRUNO’s data security solutions protect your bottom line by preventing fraud, simplifying compliance, and securing your payment processes. By moving customer data outside of the store to a secure, off-site payment server, you’re protecting customers while limiting liability for your store. TRUNO’s payment processing and data security solutions eliminate the risk of data breaches for retailers by routing data directly from the PIN pad to the processor, securely bypassing the POS. Point-to-Point encryption and tokenization offers added security and ensures PCI DSS compliance. As regulations change, you can maintain compliance and prepare for new payment trends. 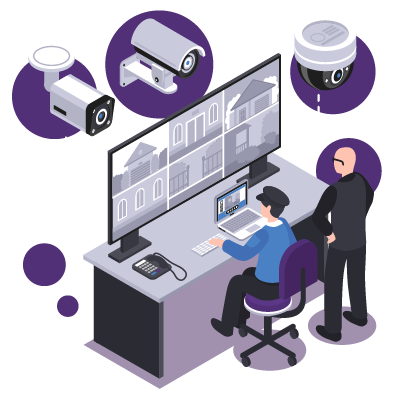 Remote management of your fleet of devices allows you to monitor store and device health, deploy software and security updates, and configure payment features and PIN pad interfaces. And if your network goes offline, you can still accept credit card transactions to process and settle at a later time. The best part? TRUNO earned recognition from the PCI Security Standards Council as a Qualified Integrator Reseller (QIR)™, meaning you can rest assured that your payment application is installed, configured and supported by knowledgeable professionals. RISKS KEEPING YOU UP AT NIGHT? From security and loss prevention to fresh-item management, TRUNO has you covered. Our business intelligence solution can also give you the data you need to make informed decisions.